Brothers Shaun and Scott Smail have had their fair share of joined musical endeavors, dating back to high school. With Scott on drums and Shaun on guitar, they’ve offered a sibling-duo package that have been featured in multiple Michigan-based bands. It’s their original band, Spiral Crush, that they keep coming back to, however. The brothers originally started out as a cover band. As that grew into writing original content, it faded rather quickly as members went off to college, started jobs, etc. When they decided to reform, Spiral Crush was born. They wrote their own songs, recorded an album and made connections along the way. “We were proud of these songs; it was the first time we wrote songs where we didn’t hate them,” Shaun said. Some of those connections that they made included Andy Patalan, who produced their first album. At the time, Patalan was a founding member of indie band Solid Frog. When they disbanded and formed Throttlebody, he and guitarist Kyle Neely recruited the brothers to join. This became the first hiatus for the Spiral Crush. 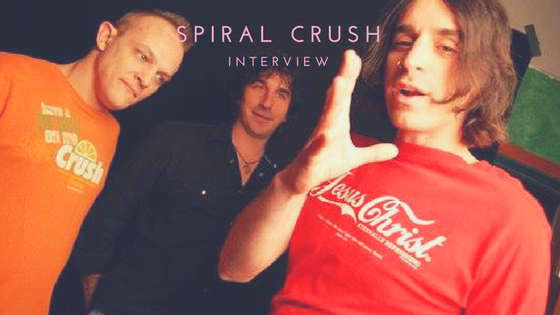 Without really talking about it or planning it, Spiral Crush kept booking cover shows to the point where they put off writing new material and creating their next album. After almost three years, Scott was the first one to break. What started off as making extra money to record their next album because an almost-permanent routine. Once everyone was in agreement, it was back to original music and a third album: Electric Life, which was released earlier this year. It took a few years for the band to realize that they had veered off the path of their long-term goals. Although they appreciated the popularity and paychecks that came with being a cover band, it was their own material that they found much more enjoyable.